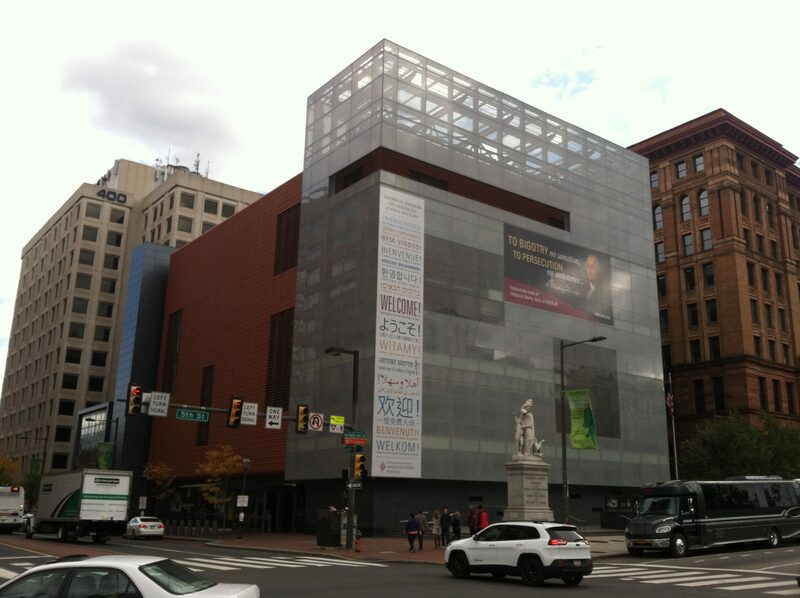 Overlooking Independence Mall, the National Museum of American Jewish History is one of the newest attractions in Philadelphia, as well as one of the best. This museum, which is a Smithsonian affiliate, was once part of the Mikveh Israel synagogue, one of the country’s oldest. It is one of the most popular attractions, as evidenced by the amount of banners spread throughout the city. 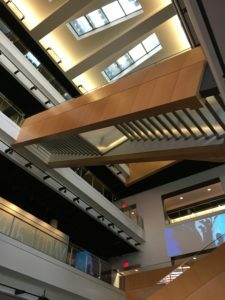 The first floor is home to the Only in America gallery, which is a hall of fame of sorts, with objects belonging to the most famous American Jews. These would include Albert Einstein’s pipe, Steven Spielberg’s first camera, Irving Berlin’s piano, Emma Lazarus’ handwritten copy of The New Colossus, and items belonging to Sandy Koufax, Jonas Salk, Leonard Bernstein, and more. The museum’s main exhibit tells the story of Jewish people in America chronologically, starting on the fourth floor. It begins with the arrival of the first Jews in New Amsterdam from Recife, Brazil in 1654. Items from this time period are preserved, and there is a cross-section of the Touro Synagogue in Newport, Rhode Island, the oldest in America. There is a section on Jews in the American Revolution, including George Washington’s handwritten letter to Moses Sexias, reaffirming religious freedom in the United States. Next is a room on Judaism as it moved west, when the country began expanding. This time also brought changes to Judaism, which are described here. The third floor covers Judaism from 1880-1945. In the late 1880s, millions of European immigrants arrived in America, including 2 million Jews. Many of them lived like other immigrants, in dense tenements and neighborhoods of large cities. Some of these rooms were recreated in the museum. Much of this floor is dedicated to the accomplishments of American Jews. There is a small theater showing short films about Jews in early Hollywood, and other parts of American culture, including comic books. At the end of this floor is a section honoring American Jews who served in World War II while the Holocaust was ravaging Europe. The second floor is about Jews from 1945 to the present, in postwar America. Jews, much like many Americans, moved to suburbs after World War II. In 1948 the State of Israel was declared, forming a Jewish homeland in the Middle East. Many Jews left Europe in favor of Israel at this time. Back in the U.S, there were Jewish people involved in several social movements, including the Civil Rights movement, the Women’s movement, and the movement to free Jews in the Soviet Union, who were denied citizenship. At the end is a section for people to share their opinions on present issues involving Judaism. The fifth floor houses temporary exhibits, which are usually centered on one prominent person at a time. There is also space for special events up here, including an outdoor terrace. Admission is $12 for adults, and $11 for seniors and children. There is a museum cafe, serving traditional Jewish fare, but bear in mind the Bourse is literally next door.